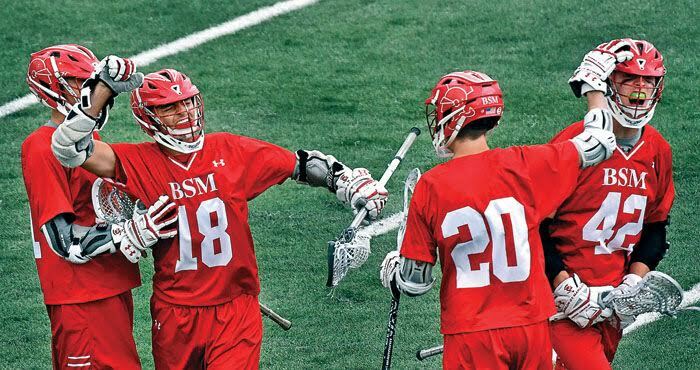 BSM has a long history of success in the rather new world of high school lacrosse. Almost every sports team at Benilde St. Margaret’s expects to find success at the varsity level. For decades, some of the most dominant sports teams in the state of Minnesota formed at Benilde St. Margaret’s. 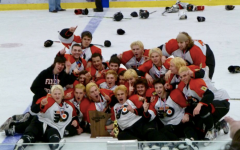 Some teams, of course, surpass that expectations with numerous state championships: The football team, the boys’ hockey team, dance team, girls’ soccer team. One team has seen the most success in the past years. That team is the boys’ lacrosse team. The Benilde-St. Margaret’s School Red Knights Lacrosse team has been one of the dominant teams in the state of Minnesota since the beginning of high school lacrosse. In fact, they won the very first Minnesota State High School League State Champions in 2007 along with winning back to back in 2010 and 2011. Recently they have fallen just short of the championship, placing runner-up 2017 and 2018. The 2018 boys' team celebrates after winning the section championship to secure a spot in the State Tournament. From lacrosse college commits to people looking for a good time, lacrosse intrigues a wide variety of students at Benilde-St. Margaret’s. Lacrosse provides a connection for student-athletes to enjoy a competitive aspect and to develop friendships. Leaders, such as current seniors Nick Carpenter and Shay Kinney Leonhardt, provide an uplift to the team with their skills and experience. Jack Budniewiski wins yet another face off to guarantee BSM possession. The BSM boys’ lacrosse team has only been around since the early 2000s and didn’t form an actual team until 2007. Since then, they have had a rollercoaster of a ride. They have brought BSM three state championships, including the first year the sport competed in the MSHSL. Even though they have come up short in recent seasons––annoyingly getting second place two years in a row––they have had a long history of being a top Minnesota team that has created many memories with each other. The full team huddles before a big Blake game. The way athletes prepare before games is essential to the way they play, and that is no different for the boys’ lacrosse team. After the team goes to the Chapel for team prayer, about half of the team will be slumped somewhere around campus while the other half plays wall ball in the Haben Center. For away games, they have silent bus rides to games to get in the zone, mentally preparing for whatever could come next. Senior Shay Kinney Leonhardt celebrates a goal with his teammates. Once the game starts, there is nothing but constant energy throughout the entire 48 minutes of the game clock running. The lacrosse players always radiate good vibes of hard work, determination, and a drive to get better. 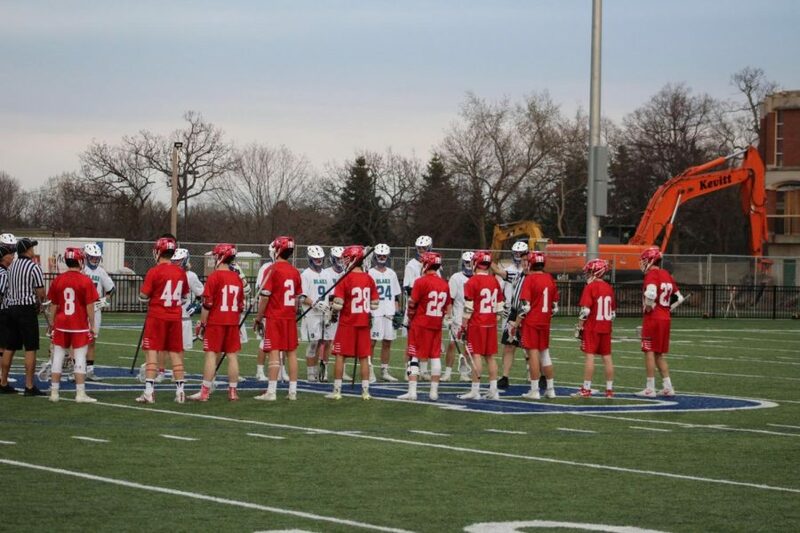 On and off the field, BSM lacrosse players are known for the respectfulness throughout the lacrosse community. BSM likes to keep this rep also while playing their best game and destroying teams left and right. The fans that attend the lacrosse games also have a lot to do with the team and their energy. The Red Knights not only play for their school but the fans and each other during every game. The managers live it up with another W.
Each team has its own energy whether it be calm, fierce, or competitive, but the BSM boys’ lacrosse team brings their own unique energy to every game and practice. This group of competitive individuals focuses on the importance of protecting each other and playing the game they love most. 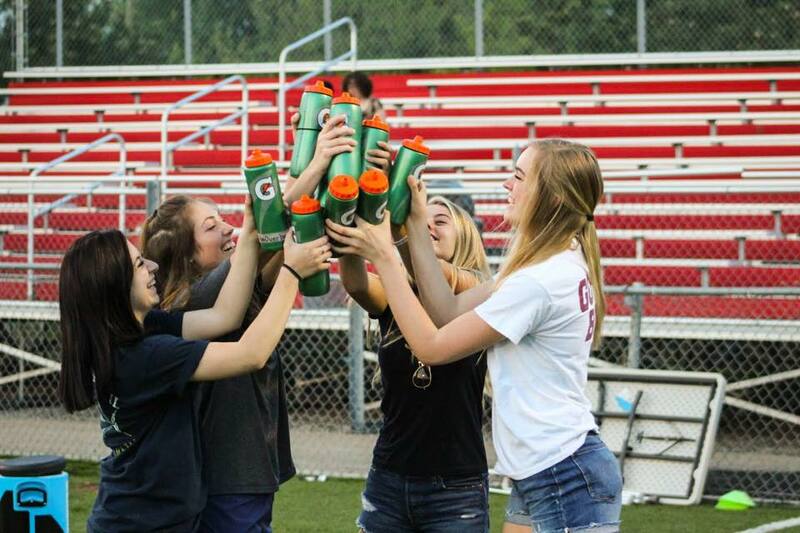 Through hard work, passion, and team camaraderie, the Red Knights display true teamwork day in and day out. Training together at the dome, hosting team dinners, and supporting each other before games builds this team’s chemistry. Through the triumphant victories and defeating losses, the team manages to stay humble and connected while growing as teammates and lacrosse players. The boys' lineup before playing Blake. 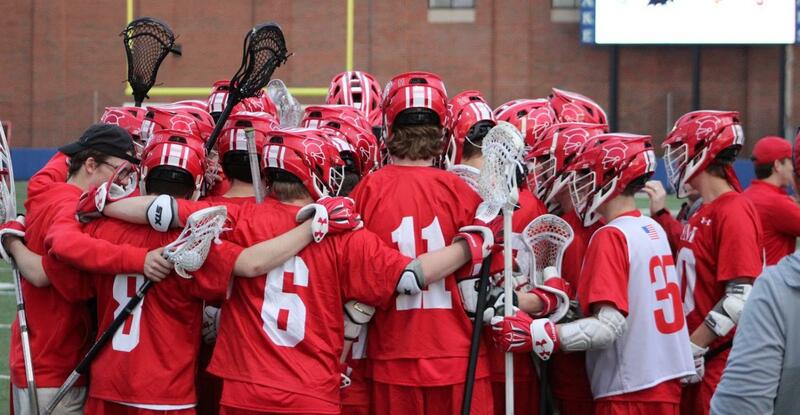 All great sports teams have rivals, BSM boys’ lacrosse is no different. Since BSM has been a top team for the past 11 years, teams always give their best when given the opportunity to play this historically successful team. Be it because of a particular moment, game, or goal, there has always been a reason for teams to resent BSM lacrosse and their success. 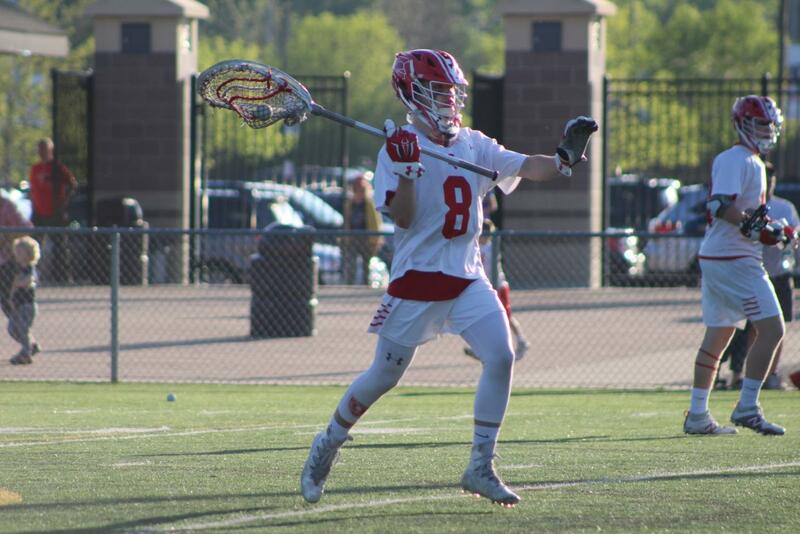 One of BSM’s greatest rivals, Blake, dates back to the beginning of the sport, and since head coach Rob Horn left BSM to coach the neighboring school, the feud hasn’t fizzled. Then-senior Buzz Williams walks the ball up to start the clear. 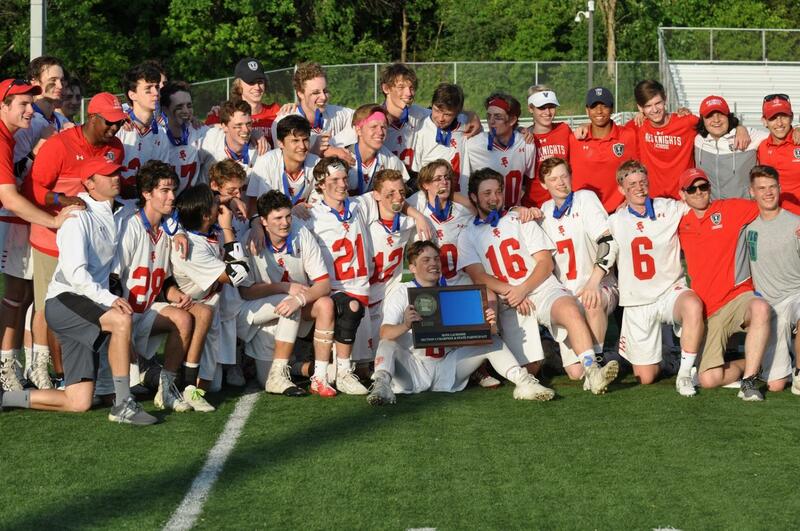 All the BSM Lacrosse program has ever known is success. Since its creation in 2007, the Varsity Lacrosse team has never had a losing season. After competing in the past two straight State Championships and falling short, the star power for this team is unmatchable. With five future collegiate players returning to the team, there is optimism for another return to the State Championship game. Even though they lost fourteen players last year, they have many young, talented guys who are willing to step up the the challenge. Led by head coach Rob Horn, who has a lot of experience, this upcoming season will be yet another championship contending season. Pepe Smith, Current Player: What do you think will change? Our team has a lot of talent, especially in the younger kids. We just need to continue to develop our play as a team together. The Red Knights lineup before the 2017 State semi-final game. Any team needs to have great players to be successful. 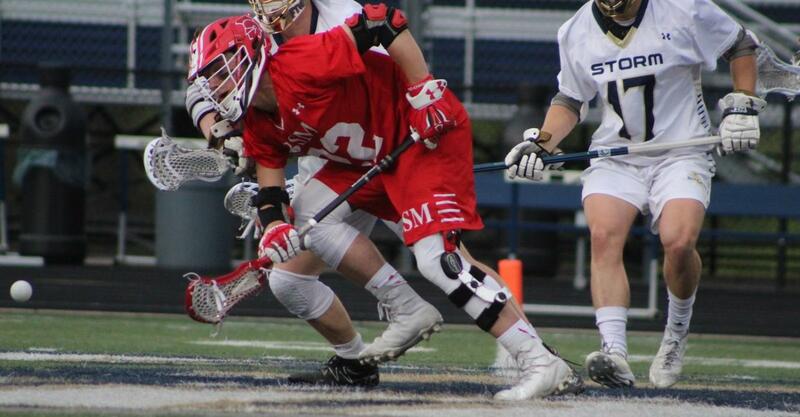 Over the years, the BSM lacrosse team has seen many great players. Each one brings their own personal attributes to the team to give them success: some of them contributed their outstanding athletic abilities, some were leaders who helped the team face any adversity they faced, and some just brought the team comical relief when they needed it most.